Euro is still being corrected. We can’t exclude a possibility that the price may start a new ascending movement with the target at the level of 78.6% and the 2.618 line of the fibo-channel. Later, these levels may become a starting point of a deeper correction. At the H1 chart, the price is forming flat pattern. According to the analysis of the temporary fibo-zones, the price may reach one of the important levels within a couple of day; there is a possibility that this may be the level of 78.6%. Franc is also consolidating; the bears are unlikely to stop at the level of 50% and may continue pushing the price downwards up to the level of 78.6%. 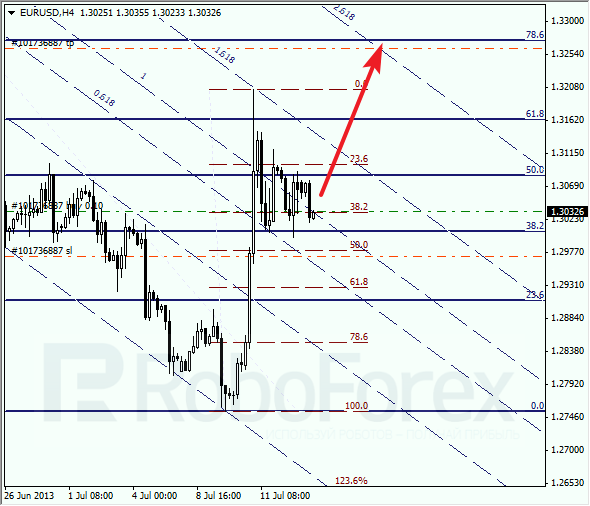 However, they may face the resistance form the 2.618 line of the fibo-channel. 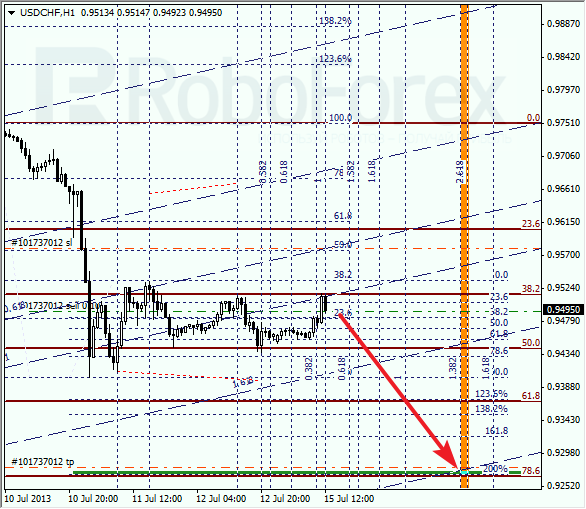 At the H1 chart, we can see one more level, 200%, from the previous correction. 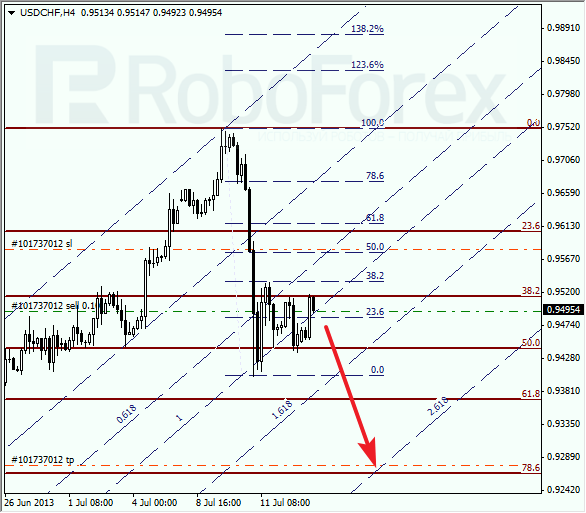 According to the analysis of the temporary fibo-zones, the targets may be reached on Wednesday. I’ll increase my short position as soon as the price rebounds from the current levels.